Heat oven to 425°F. Cut off all but 2 inches of beet tops. Wash beets; leave whole with root ends attached. 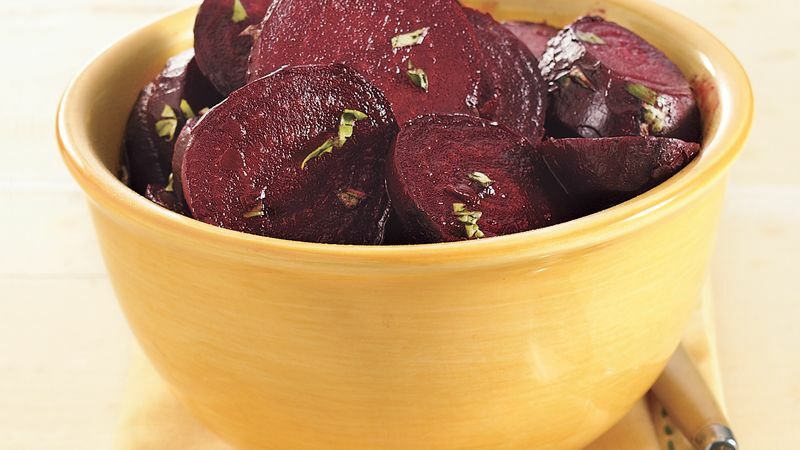 Place beets in ungreased 13x9-inch pan. Sprinkle with salt and pepper. Drizzle with oil. Roast uncovered about 40 minutes or until beets are tender. Let beets cool until easy to handle, about 30 minutes. Peel beets and cut off root ends; cut beets into 1/2-inch slices. In medium bowl, toss beets, basil and vinegar. Serve warm or at room temperature.